^ 1.0 1.1 1.2 Liesl Schillinger. A Turkish Idyll Lost in Time. New York Times. July 8, 2011. 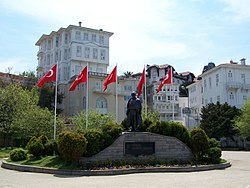 ^ Büyükada Pier. Buyukada Island Travel Guide. [8 October 2011]. （原始内容存档于2011年10月1日）.